Vodafone today announced it has teamed up with Supercars, adding to its already rich history with the sport. Vodafone, which secured multiple Championships and Supercheap Auto Bathurst 1000 victories with Jamie Whincup and Craig Lowndes, has returned to the sport as the Official Telecommunications Partner of Supercars. The partnership will be driven through Vodafone’s national and regional networks, connecting Supercars’ nationwide supporter base and fans to the sport and the network across Australia. 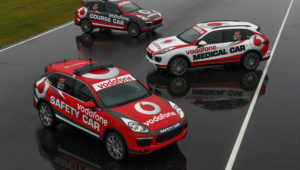 Vodafone will assume the exclusive naming rights for the Porsche safety, course and medical cars, complementing its Official Telco Partner status of the 2017 Supercars Championship. 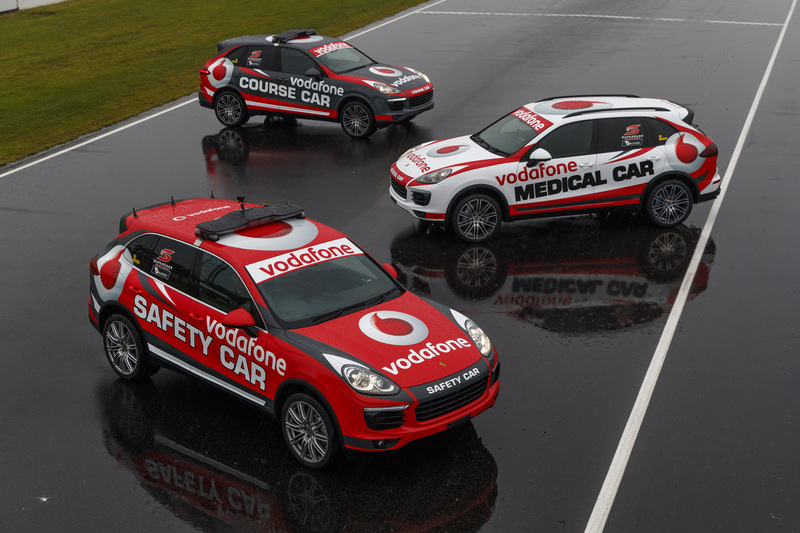 Supercars announced Porsche as the Official Safety Car provider of the sport earlier this year. Vodafone Consumer Business Unit Director Ben McIntosh said partnering with Supercars gives the company the platform to further expand its brand in Australia and globally. “Supercars is a truly national sport with a significant and extremely avid fan base right across Australia,” said Mr McIntosh. “We are also a fast-paced, high performance brand which is passionate about its people and its customers, just like Supercars. Supercars CEO James Warburton said Vodafone was a fantastic partner for the sport given its great success of the past, global reach and domestic profile. “Vodafone is an incredible global brand which will connect the sport of Supercars to our fans and new audiences nationally and regionally,” said Mr Warburton. “We are proud to have Vodafone back in the sport which they have already had so much success in. Vodafone knows the huge and powerful reach of Supercars on a national platform with major events in all states and the Northern Territory. The partnership commences this weekend at the WD-40 Phillip Island 500 in Victoria.